Stop blaming the pay czar, break the banks. Pity the pay czar. When Ken Feinberg announced last month that he would slash pay at seven firms that received federal bailout funds and convert large chunks of compensation to stock units that can’t be sold for years, he was met with almost universal opprobrium. Critics of Wall Street protested that simply paying out salaries in stock rather than cash would have little effect on executives at the bailed-out firms, to say nothing of the banking culture at large. “This is a ploy to appease a public enraged by Wall Street bonuses, particularly Goldman’s which is notably unaffected by the move,” finance blogger Yves Smith wrote in The New York Times. Meanwhile, bankers complained that the scheme would hamper the ability of those firms to compete for the best talent in the business. “It looks like meatball surgery with a sledgehammer,” one independent compensation expert told the paper. “There are going to be some people who just pick up their sticks and go.” Even the administration seemed lukewarm about Feinberg’s compromise. The Wall Street Journal reported that the White House deliberately made him unaccountable to Treasury so that it wouldn’t have to deal with the predictable fallout. Fortunately, we get to start replaying the whole tortured drama in a few short weeks. Because Feinberg’s agreements only apply to 2009 salaries, he still has to negotiate next year’s compensation packages for all seven major bank-bailout recipients--AIG, Bank of America, Citigroup, GM, GMAC, Chrysler, and Chrysler Financial--set to take effect in January. Which is why, as we approach the next round--sure to launch its own separate uproar--it’s worth keeping in mind that the pay czar is largely beside the point. That’s not to say bankers are underpaid. Far from it. Financial-industry bonuses are expected to rise 40 percent this year. Goldman Sachs, just months after paying back taxpayer dollars, is expected to give out bonuses that exceed what the company paid out in 2007, at the height of the bubble. Even after Feinberg’s pay cuts, 66 executives at the seven companies under his jurisdiction will receive at least $1 million in long-term compensation. The point, rather, is that there’s very little that a czar--even one as apparently well-intentioned and tough-minded as Feinberg--can accomplish in this realm. Compensation reflects a number of factors: a firm’s profitability, size, business model, competitors, etc. 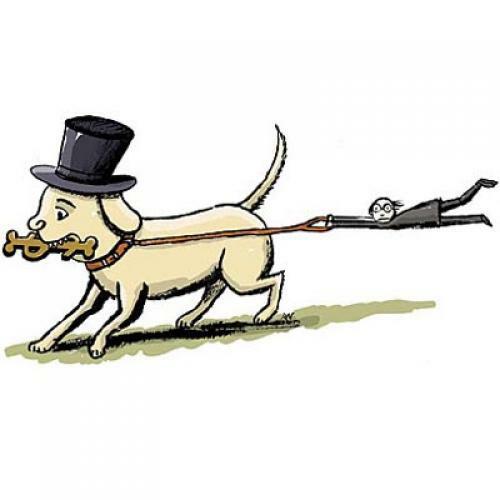 When a firm is making billions in profits and has all sorts of unregulated competitors (like hedge funds or foreign banks) who are equally profitable and can afford to pay multimillion-dollar salaries, it’s very difficult to force its executives to take an 80 or 90 percent pay cut. More likely, such a decree will be counterproductive, causing the targeted executives to leave for unregulated competitors, and therefore undermining the government’s efforts to recoup its investments in these firms. Really changing executive pay at big commercial banks would require reforming the structure of the banking industry. That would start with the kind of proposal former Fed Chairman Paul Volcker has put forth, which would separate traditional commercial banking (and some investment-banking functions) from proprietary trading--in other words, separating the banking parts of the business from the hedge-fund parts of the business. The current problem is that the hedge-fund parts of the business create huge profits, in turn driving huge salaries, while the banking parts of the business give the firm access to cheap borrowing from the Fed in a crisis, federal deposit insurance, and fdic backing for its debt issuance. The fact that the two parts are combined also makes the government more likely to bail out a large institution if it verges on collapse. Let’s not kid ourselves. Hedge funds and outlandish financial-sector salaries are probably here to stay. But there’s no reason that they should benefit from government support. Spinning off the hedge-fund activities of a company like Citigroup from the more traditional bank activities would drive down salaries in the parts of the business that benefit from enormous government largesse. And if the government did have to step in and save a bank, at least taxpayers wouldn’t have to pay salaries that were quite as titanic. Unfortunately, that’s not something a pay czar can accomplish with limited powers over a few bailed-out firms. It would require tough legislation, which means a massive fight in Congress and an investment of presidential capital. The administration opposes Volcker-esque proposals for breaking up the banks, suggesting that truly reforming executive compensation is not a top priority. That’s disappointing but understandable--there’s a lot on Wall Street that needs reforming. But, as long as that’s the case, don’t blame Ken Feinberg for failing to lower executive pay. There isn’t much he can do.